There is something powerful about community, inside our wonderful game and even moreso out of it. 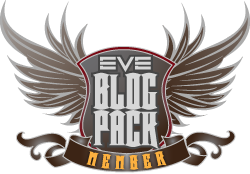 This is the tenth anniversary of EVE Online. It’s been an incredibly sentimental Fanfest for me, something I’m not always comfortable with but am embracing fully, putting myself out there. I’ve been rewarded greatly for the risk. I’ve seen many old friends here. I’ve made new friends. I’ve had the privilege of engaging in countless discussions with devs, groups and individual players. The trip to the Mjolnir gym was an awesome success and much fun was had. Probably not so much from the two attendees that puked and the one that passed out. It was such a grueling workout that Brynja, our instructor, had to reduce the active rounds from 30 seconds to 20 seconds so people wouldn’t collapse. I have to admit I was impressed with the conditioning of the devs – they put us to shame as players. Petur and I paired up and I am pleased to say I managed to outdo him in one or two things only to be completely humiliated by him at most of the other exercises. Sveinn is also a scary powerful little man. Still, it was a success, so thanks to everyone that came out. Sindel Pellion’s “Not for Charity” dinner was also a huge success and I give my personal thanks to her for such a wonderful evening. At Fanfest I’ve noticed that nearly everywhere I go someone stops me to say “Hey Roc, I voted for you.”, “I wanted to let you know my corporation/alliance voted for you.”, “Good luck with the CSM election.”, etc, etc. I’ve had several interviews: one for a small independent documentary, another for IGN magazine, Johnson & Johnson shadowed me all day, and I did a voiceover spot for Eve Net Radio out of Australia. EVE TV. It’s been overwhelming. Even more meaningful has been the people that have engaged me in conversation, some hesitantly, and told me how I have inspired them to change their lives. As I walked into Fanfest on day one to pick up my pass, the dev that handed it to me thanked me for helping him lose quite a bit of weight. That is how things started for me here. The first night out, a very drunk player opened up and shared his entire story, bringing me to the verge of tears. This has continued throughout this entire trip. Tonight, as the pub crawl with a dev made its way through Reykjavik, I had the pleasure of receiving more of these comments, making more new friends and fans along the way. The crowning moment for me was as my wife and I left and ran into Hilmar Petursson, CEO of CCP Games and the man ultimately responsible for EVE Online. The conversation started with “The Roc, my Roc. I am so proud of you.” and turned into such a humbling conversation that nearly drove me to tears. “You’ve been inspirational to me, to so many of us.” Hilmar continued. “You’ve taken our game and personified it as something real.” It was as emotional for him as it was for me to see how such a simple thing as a video game could be the inspiration behind real life change. I don’t know if I can handle much more emotion. Yesterday and today have been full of countless roundtables, presentations and reveals. I’ve been very vocal in every session I’ve attended, asking the hard questions and demanding direct answers. I’ve been rewarded with honesty though the answers have often not been the ones I’ve wanted to hear as a player. There are a lot of interesting things coming to EVE Online and to DUST 514. I may even get a PS3 and try it out finally. We’ll see. And while I may not agree with all of the things on the dev track list for the immediate future, I am excited about EVE Online more than I have been in a little while. I am swept up in the dreaming, the future vision. I am cynical and staying grounded in the reality. I am nervous and filled with trepidation about the CSM announcement tomorrow. I am having the absolute time of my life and wish you were as it would only add to this experience. And my wife’s point of view. She is such an amazing woman. Ahhhhh! I don’t want to be all mushy on here but I can’t help it! I am sooooooooo super proud of you and am proud you are my older brother 🙂 can’t wait to see you when you get back. Aww, great post! You and Farah are adorable. I hope she is having as much fun! Yeah, she’s sharing it all at farahtheiqbal.com We both wish you were here. I’ll be honest. That would’ve been awesome for me. If it wasn’t for this pesky military contract, and real life constraints, I’d have been there. One day. So sad I did not make it out there this year. What ever happened to the group photo that was taken at the end? yes mate thats the one. It’s a shame that was your last Fanfest, enjoyed the workout and the chats.